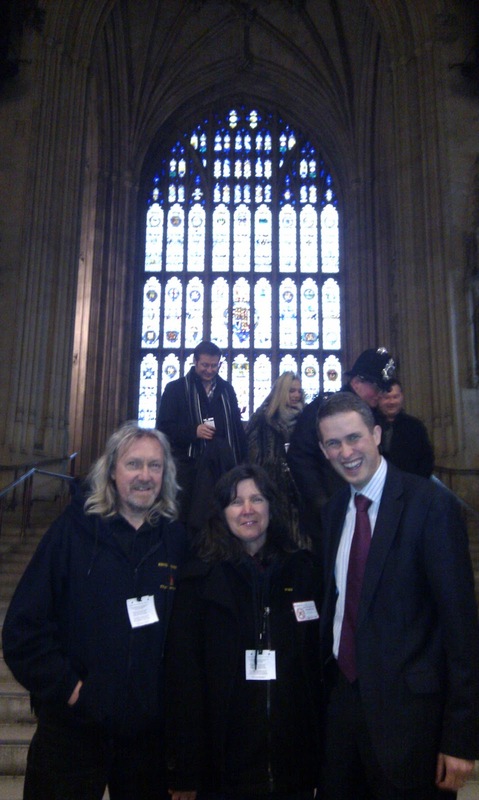 Following from the meeting of Kinver Brewery with Gavin Williamson MP at Westminster, to lobby for lower beer taxes, the Chancellor has today scrapped the unfair Beer Duty Escalator, and reduced tax on a pint by a further 1p. The 2013 Budget means the planned increase of 3p this year will now be cancelled, and replaced by a reduction of 1p per pint. It was a Challenge, but great Progress has now been made . Gavin Williamson has been very supportive of the CAMRA Save Your Pint Campaign to end the 'Beer Duty Escalator’ stealth tax introduced by the last Government in 2008. This escalator tax meant that beer duty is automatically escalated by 2% above the rate of inflation, compounded every single year. As the inflation rises due to the recession, so did the stealth tax. ESCALATOR TAX is now SCRAPPED ~ Prost!